DO YOU KNOW WHAT TO ASK TO WEED OUT BAD CLEANING COMPANIES? WE DO. GET OUR FREE E-BOOK SO YOU WILL TOO. Screening commercial cleaning companies is often the toughest part of hiring a cleaning contractor. But it is certainly the most important thing your can do before signing an agreement with any janitorial company. Without digging in and asking the tough questions, it can be difficult to differentiate the reputable companies that do good work from those that will take your money but barely empty the trash. That's why we created this e-book. It is filled with important questions that will arm you to get the information you need from potential contractors to make the best decision for your business. 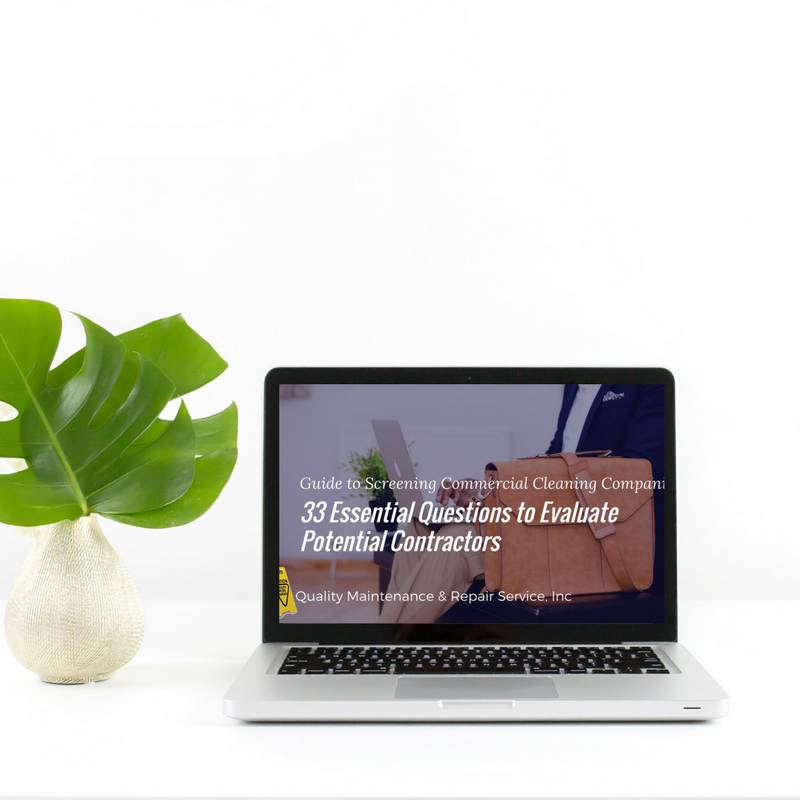 These questions will get past the marketing fluff and get into the things that matter most and uncover just how the company will deliver on those marketing promises of perfect cleaning. Choosing a better cleaning service is just a few steps away. Leave your details below to receive a PDF copy of the e-book. We just a need few details. Then a member of our team will send your free e-book. Immediately 3-6 Months 7-12 Months I'm not currently looking but this e-book looked cool.